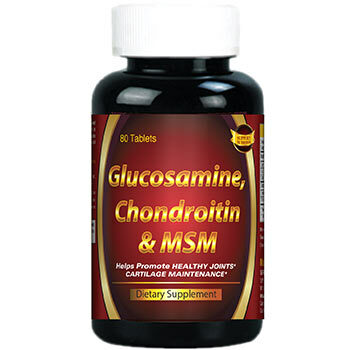 Glucosamine Chondroitin & MSM is a formulary matrix that helps revitalize the cellular components within the joints. ** Our Joint Soother® combines the top three structural components found in popular joint support products, at a fraction of the cost. This high quality formula delivers Glucosamine HCL to help build and support cartilage, Chondroitin Sulfate to bring fluid into the joints and help promote healthy cartilage formation, and MSM to synergistically enhance the benefits of Glucosamine and Chondroitin. ** Adults can take three tablets daily with meals. WARNING:Do not consume product if you have an allergy to shellfish. 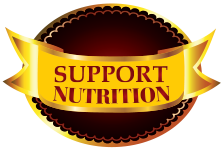 No Artificial Color, Flavor or Sweetener, No Preservatives, No Sugar, No Milk, No Lactose, No Soy, No Gluten, No Wheat, No Yeast. Other Ingredients: Gelatin, Vegetable Cellulose. Contains <2% of: Silica, Vegetable Magnesium Stearate. Contains shellfish (crab, shrimp, lobster, crayfish) ingredients. No Artificial Color, Flavor or Sweetener, No Preservatives, No Sugar, No Starch, No Milk, No Lactose, No Soy, No Gluten, No Wheat, No Yeast.